The Black Horse pub is a part of the Charles Wells pub group. This friendly and atmospheric pub offers a free car park and a selection of real ales, overlooking the village green in Swaffham Bulbeck. The Black Horse Inn offers en suite accommodation in a converted stable block. The centrally heated rooms have TV and tea/coffee. This picturesque pub is just 10 minutes' drive from the centres of Cambridge and Newmarket. The car park offers spaces for more than 20 cars. The restaurant serves breakfast, lunch and evening meals in comfortable and stylish surroundings. 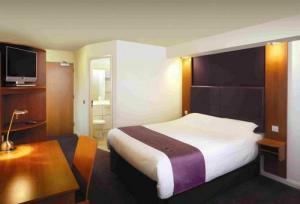 With free parking, this Premier Inn hotel is on a bus route into the busy city centre. Enjoy family-friendly en suite rooms and an on-site Beefeater restaurant. The number 5 bus runs from the city centre along Huntingdon Road, passing the Premier Inn Cambridge North hotel along the way. The hotel is close to Girton College, part of the University of Cambridge. Some rooms can take 2 adults and up to 2 children (under 16 years). The 2 children also get a free full breakfast when accompanied by an adult eating a full breakfast. The full all-you-can-eat breakfast has the expected cooked items, including vegetarian sausages, as well as a wide continental selection. Ideally situated near the River Cam, city centre, colleges and most business parks, this guest house provides comfortable accommodation and a homely atmosphere. Cambridge is one of the most beautiful cities in Britain and is steeped in history and tradition. 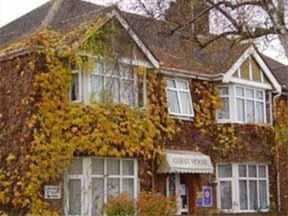 Acorn Guest House offers accommodation in the main house, as well as annexe accommodation, and is ideally situated for a visit to both the city and the surrounding area. Cambridge is a city best discovered on foot and guests find our location ideal for exploring the sights. 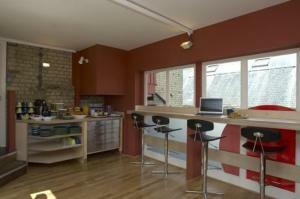 Acorn Guest House is located within walking distance of the River Cam, the historic city centre and the famous colleges. If travelling on foot to the centre, the journey is a pleasant walk alongside the river and across the greens. There are a number of pubs alongside the river. You may see crews of rowers on the river and in the summer, you will see punting. For the less energetic, there are frequent buses from the bus stop located close by. These modern serviced apartments have 2 bedrooms and 2 bathrooms and are walking distance from the historic city centre and the river. 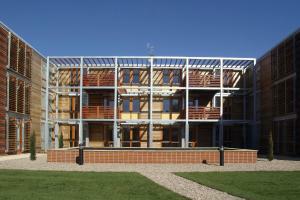 The stylish apartments are ideal for visiting the universities and the science park. They come with free private parking and a free welcome pack containing basic groceries and Molton Brown toiletries. Each executive apartment is individually furnished. The kitchen is fully equipped and you will have a comfortable sofa, a wide-screen TV, a DVD player and a stereo with CD player. 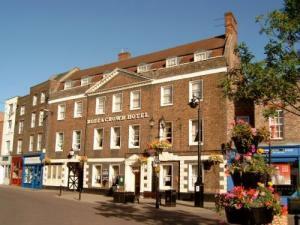 For over 600 years, the Rose and Crown, the largest hotel in this ancient town, has welcomed royalty and commoners alike and played host to many grand events. Your stay here need not be of such importance, however, as this hotel caters for quiet weekends away as well as business functions and weddings. 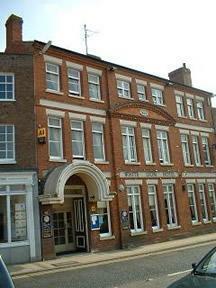 The hotel is easily reached, from Peterborough (25 minutes by car), King's Lynn (10 minutes) and Ely (20 minutes). With 30 executive and character bedrooms, including 2 4-poster suites, 3 bars, 2 restaurants and 5 conference and reception rooms, this versatile hotel offers sophisticated facilities within rooms that tell stories from hundreds of years of history. 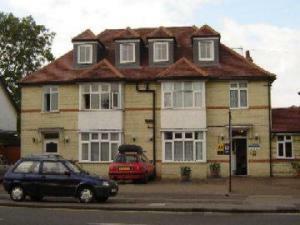 Conveniently located, this Guest House attracts tourists wishing to explore the splendour of Cambridge. The bridges and 'Backs' of the River Cam and a wealth of architectural styles are a short drive away. The nearby city ring road and excellent bus service provides easy access to the town's many delights. The hotel boasts a range of services and amenities to ensure a comfortable stay. The rooms are individually decorated and en-suite facilities are available on request. Families are welcome. With a convenient location, within 1.5 miles (2.5 km) of Cambridge's historic city centre and the train station, this family-managed hotel boasts an authentic Italian restaurant and free parking. 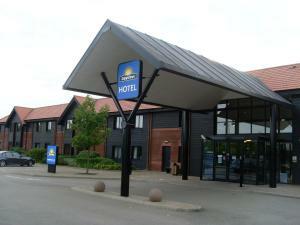 Well situated in the south of Cambridge, this 3-star hotel is a convenient base for the business traveller or tourist. The good location and close proximity to the city's ring road means this private hotel has good access to all of the region's major roads, including the A14 and M11. The train station is just one mile (1.6 km) away and there is ample free car parking, protected by 24-hour CCTV cameras. There are good business facilities for up to 50 delegates and an ? la carte restaurant offering authentic Italian food. Whether you are visiting Cambridge on business or exploring the city and the surrounding region for leisure, the hotel's friendly and informal atmosphere makes it a great choice for a relaxing base. Formally an inn from the 18th /19th century, this family-run, central guest house with Thai restaurant is contemporary in style, and is just 2 minutes' walk from beautiful Ely Cathedral. The station and river are 10 minutes' walk away. Offering comfortable lodge facilities, the friendly guest house has modern, fully furnished rooms with en suite facilities. The 5 guest rooms are uniquely decorated with period furnishings and fine linens. Ely Guest House offers a friendly atmosphere for a quiet drink or a delicious meal, which you can enjoy whilst overlooking the garden and flowers. The BKK Thai restaurant and SP Noodle Bar are attractively designed to provide just the right atmosphere for business lunches or special evening dinner, with seating for more than 60 people. The restaurants are also available for private parties, weddings, receptions, and other special events such as afternoon tea. Just a mile (1.6 km) from the very heart of Cambridge's historic centre, Hamilton Lodge offers free private parking, free Wi-Fi, tasty breakfasts and charming, homely accommodation. Hamilton Lodge has a great location, within easy reach of all of the city's famous colleges, the shops and the River Cam. A 10-minute walk along the river will take you into the city centre. Most of the comfortable rooms are en suite and rooms with king-size and queen-size beds are available. All of the rooms have TVs, hairdryers, telephones and tea/coffee making facilities. Ground-floor rooms are available when requested at the time of booking. Breakfast is included in the price and guests can choose from a variety of options, including the full traditional cooked English breakfast. A seventeenth century manor house set in 20 acres of mature parkland in the conservation village of Orton Longueville yet only 2.5 miles from city centre and the A1. Previously the home of the Marques of Huntly. Several spacious public rooms and sixty-five bedrooms which are generally the largest and quietest in the area (some four-posters). Every bedroom is fully equipped. There is a choice of dining in either the elegant award-winning oak panelled Huntly Restaurant, with its warm and intimate atmosphere and a selection of wines to suit most palates, or The Ramblewood Inn, a traditional country pub converted from the old stable block. 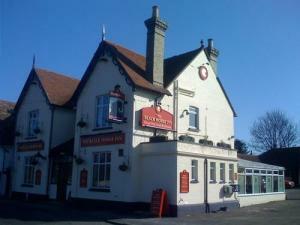 The Ramblewood Inn offers a wide selection of real ales and hearty food in either the bar or conservatory. Peterborough has many local attractions including the museum, a magnificent cathedral, Nene Valley Railway and Burghley House. It is also an excellent centre for visiting Cambridge which is only half an hour away. Special getaway 2 day offers available all year. 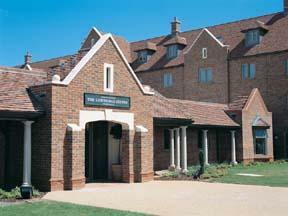 The hotel is adjacent to Nene Park and two 18 hole golf courses. Picturesque Stamford is nearby. 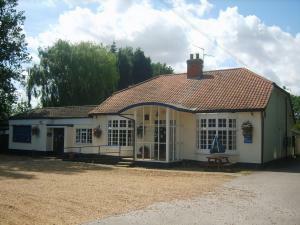 This 26-room motel is situated in a relaxed and easy-to-locate rural setting, convenient for Huntingdon and Peterborough, and close to the A1/A14 interchange. Redwings Lodge is equipped to provide non-nonsense prices accompanied by superb service. Local attractions include Huntingdon Racecourse, the East of England Showground and Grafham Water. Cambridge is 25 miles away. The Ramada Peterborough offers a unique combination of comfort, good food and services. The Ramada Hotel overlooks Thorpe Meadows Park and is a quality business and leisure destination. Sitting on the water's edge, the Ramada Peterborough (formerly Butterfly) overlooks Thorpe Meadows Park & Rowing Course. 70 bedrooms, including 4 luxurious suites. All rooms have en suite facilities, trouser press, hairdryer, multi-channel interactive TV & Radio systems, and upgraded security. WiFi access is available in bedrooms and public areas. Sky Sports in bar. These 2-bedroom serviced apartments are walking distance from Cambridge Train Station and the city centre. 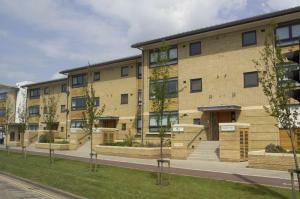 They are close to Cambridge Leisure Park's restaurants, bowling, cinema and gym. Each stylish, modern 2-bedroom apartment comes with gated underground parking and a high-speed broadband connection. You will have a fully-equipped kitchen, comfortable sofas, a wide-screen TV, DVD player and stereo with CD player. A free welcome pack contains basic groceries, cleaning products and Molton Brown toiletries. In the heart of Cambridge, just 2 minutes' walk from the train station and within walking distance of the city centre, these modern apartments offer free parking. Eden Apartments is a family-run business offering luxurious and modern apartments in a superb location. There is good access to Cambridge's business and science parks. The A14 and the M11 motorway are both within easy reach. Free private parking is available in a secure underground car park, which is located close to the apartment. Every apartment has a lounge with a high-definition TV and a DVD player. All apartments have a fully equipped kitchen with a fridge/freezer, a dishwasher, a washer/dryer and a gas hob, grill and oven. Offering a unique riverside setting overlooking the river Cam, Cambridge Garden House, located in the heart of the historical city of Cambridge, is perfect for the business and leisure traveller. With Cambridge Station just 1 mile away, the M11 only 3 miles away and Cambridge Airport just 3 miles away, the hotel is in a truly enviable location. With a fantastic penthouse suite and many rooms with panoramic views over the river Cam, Cambridge Garden House is the place to stay whether on business or pleasure. The Riverside health and fitness club offers an indoor heated swimming pool, gymnasium, spa and beauty salon to ensure you're looking and feeling at your best throughout your stay. For superb wine, good food and fine dining the newly refurbished Riverside Brasserie offers excellent cuisine set in fantastic surroundings with river views. In accordance with English law this hotel is now non-smoking throughout and has no designated smoking bedrooms'.